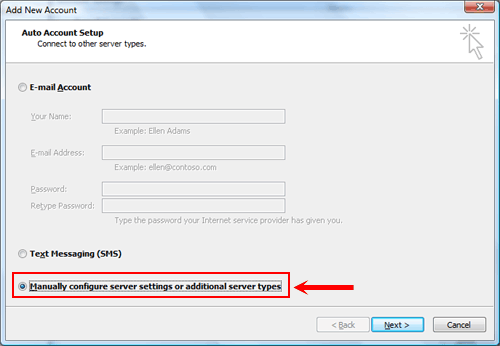 Applies to: Users wishing to configure Outlook 2010 to receive email from a TOAST.net sub-account. 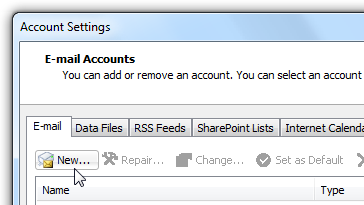 Click on the File tab, then click the Add Account button. 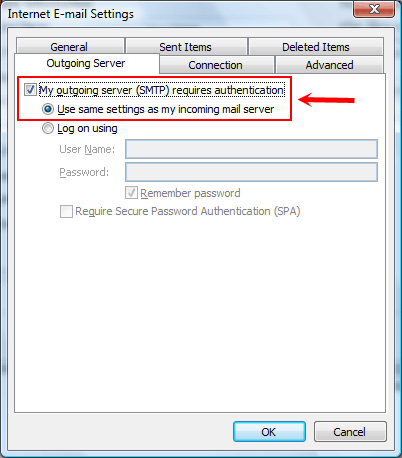 Click the Outgoing Server tab, and then checkmark My outgoing server (SMTP) requires authentication. 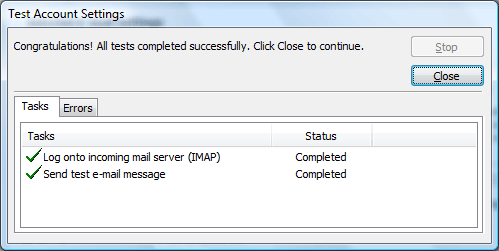 Make sureUse same settings as my incoming mail server is selected. 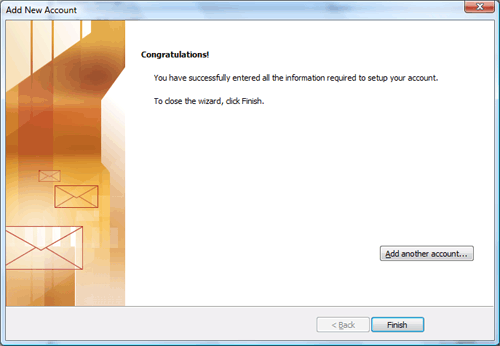 Click Next to enter to complete the account setup. 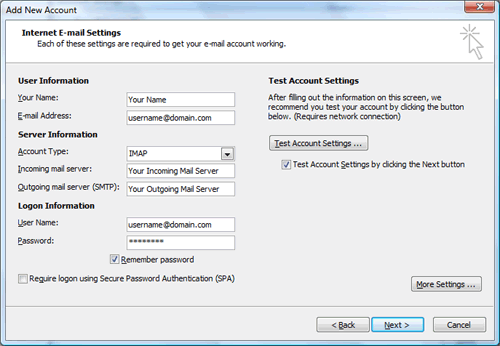 Outlook will then test your settings. You should get two green checkmarks if everything is correct. 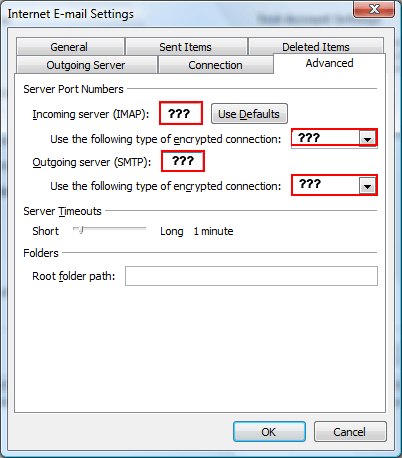 Click Close when complete. 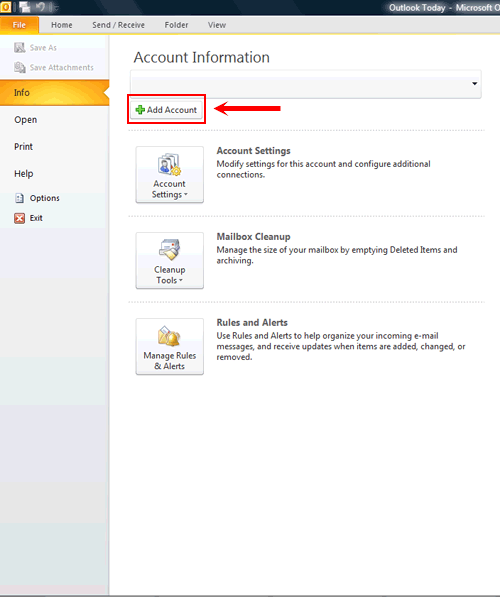 Your new email account will now be listed in the Account Settings window. 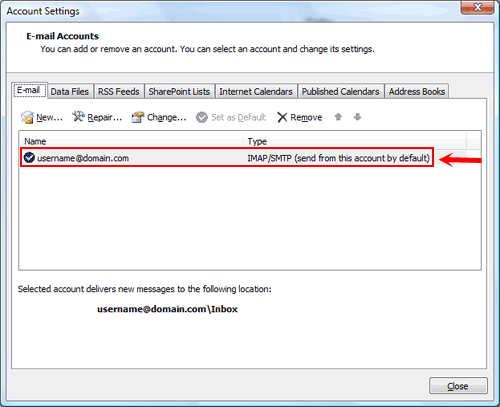 Click Close, and your email folder will populate in Outlook's folder list.